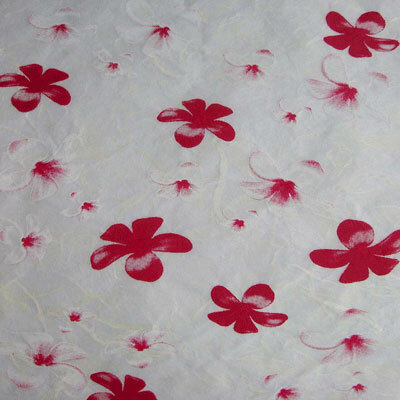 A lightweight milled paper dyed in afternoon yellow color that is hand screenprinted with Plumeria petal in two colors (red and white). Great wrapping paper. Semi-translucent and therefore perfect for any application in which light shows through. Also good for any accenting work.